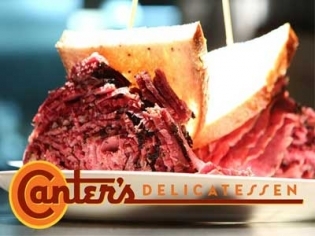 Canter’s Deli is an institution in L.A. and is now at the Linq in Las Vegas. Famous for its fresh baked rye bread piled high with a half-pound of corned beef or pastrami. Or go for the roasted turkey and matzah ball soup, you won’t be disappointed! Save room for the New York style cheesecake and the chocolate chip racetrack cake. Enjoy your sandwich on the outdoor patio and visit the bakery to take home one of the famous desserts. All bread and desserts are baked on site daily. I bet you will have a hard time passing the bakery counter without taking something home! Opens at 7 am for breakfast which is served all day.